How Many Ways Will You #DiscoverCampbellRiver Fishing This Fall? 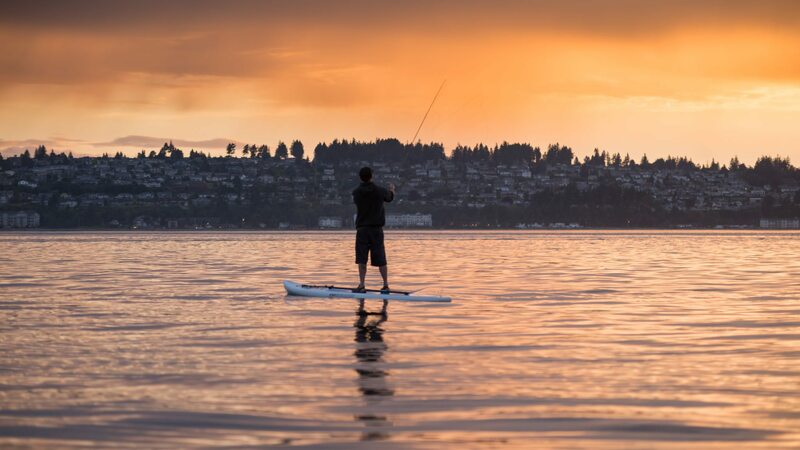 Home > Blog > Uncategorized > How Many Ways Will You #DiscoverCampbellRiver Fishing This Fall? For the First Nations people of Canada’s West Coast, salmon have been central to a way of life since the beginning of time. 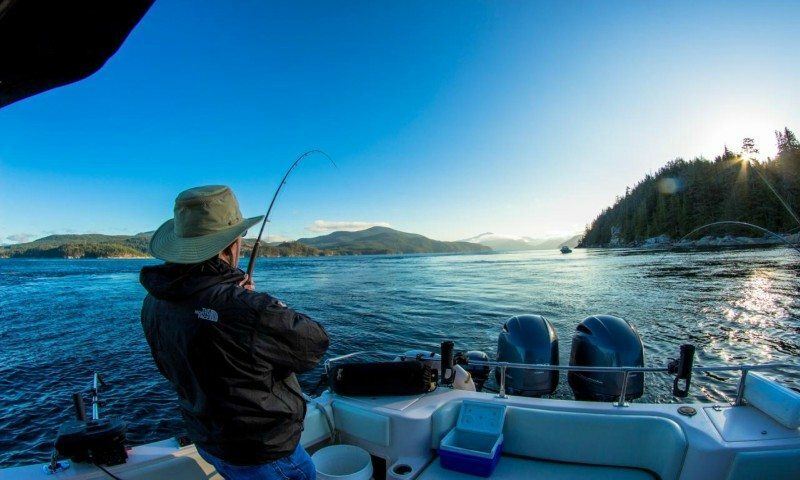 In keeping with natural cycles of return and release, visitors have flocked to Campbell River, the Salmon Capital of the World, for decades in search of unbeatable fishing experiences. Nestled on the northeast coast of Vancouver Island where smaller islands cluster at the narrowing of Discovery Passage, Campbell River shows off a unique spot where rivers meet ocean. See it with your own eyes and you’ll know, this is the place I want to be. In true temperate coastal style, sport-fishing is available during the winter months and all through the calendar year. 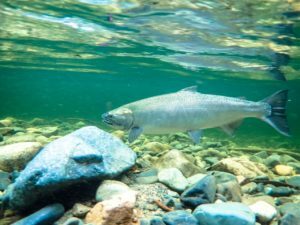 Though salmon tend to be the show-offs, other species such as steelhead plough the waters and you can marvel at serendipitous wildlife sightings along the way. 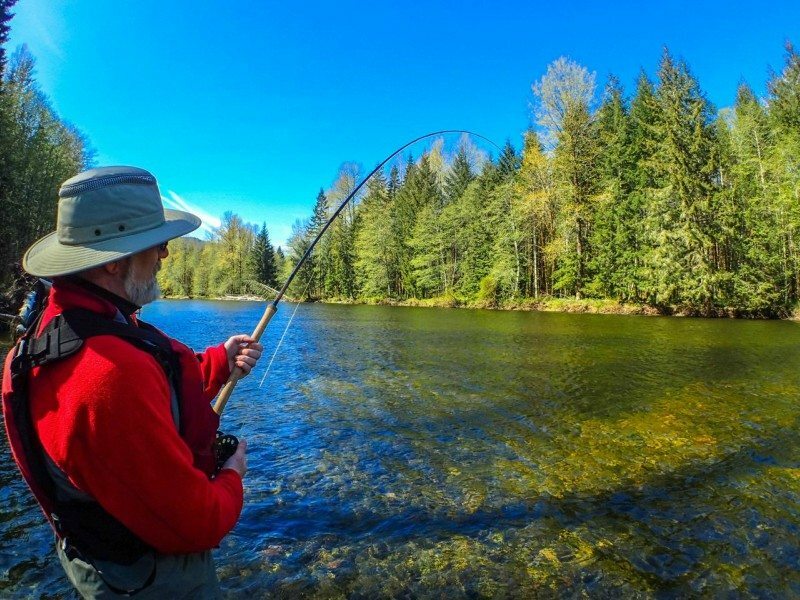 Do you know all the ways you can fish in Campbell River this fall? We’re here to set the scene, but to truly get to the heart of it you’ll have to come see for yourself! Do you know your salmon? In Campbell River you can catch all five species! Some gather close to the surface near the shoreline before heading up rivers, while others stay close to the bottom to feed. Local hint: You might be thinking, “Hey! What about Tyee, King, Spring, or Silver?” These are all common names used by our Southern neighbours and are based on size or appearance. The first three are Chinook and Silver is another name for Coho. Saltwater or Freshwater? How about both!? No need to be choosy here. Fish for salmon as they gather along the ocean coastline and follow their journey up through freshwater rivers. 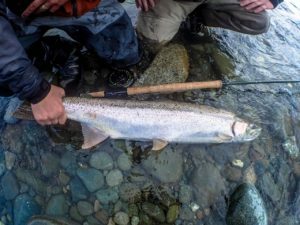 Winter steelhead can be found in local river systems within driving distance of Campbell River in early January through April, with summer runs going from July through to the end of November. Many anglers enjoy the character and challenge of learning the geography of the rivers themselves. Where?Any angler worth their salt will be wary about giving up their favourite locations. That being said, there are popular known locations throughout the region and we’ve got two of the hottest ones: the Quinsam River and the Campbell River central to town. 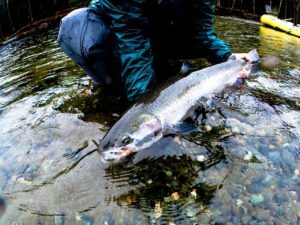 They have 4 of the 5 species of pacific salmon, along with sea run cutthroat trout and steelhead. The Campbell River is 4 km long and the entire river is full of salmon.Chinook, Chum, Coho, and Pink populate the waters here. Fly-fishing is allowed everywhere on the river, but exclusive fly-fishing zones are located above the pump house, making it a haven for enthusiasts of the sport. The mantra here is respect the waters and respect each other. Follow that and you’ll have an unforgettable experience. Or go into Tyee Marine and River Sportsman for licences and updated information on local conditions and regulations. Want to book a Guided Trip for either Fresh or Salt Water experiences? This fall there is the highly anticipated chum derby, unique to Campbell River. Whether you’re a seasoned angler with an eye on the prize, or green, but happy to get your hands dirty, or a curious spectator along for the ride, come earn your stripes and join the fun. This legendary weekend ups the excitement factor with live entertainment in the evenings to let loose after daylight hours spent competing for the most spectacular catch of the day. Bragging rights and prizes await you and so to does the satisfaction of giving back. This event is proud to support local stream stewardship to keep our waterways healthy for our current enjoyment and for generations to come. Proudly Canada’s longest public boardwalk (measuring 600 ft!) 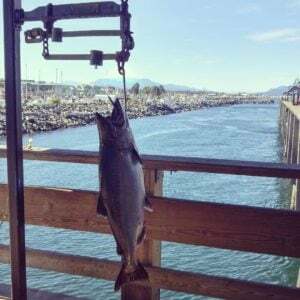 and first saltwater fishing pier, Discovery Pier is the heart of the Campbell River community. This accessible spot is the place to see and be seen as it’s wheelchair friendly, fully lit, and open 24 hours a day. Watch the world go by, unplug, and unwind as coastal wildlife from seals, to birds, to whales make appearances in the skyline and waves around you. Through to October, the famous ice-cream concession provides a sweet treat while Dicks Fish and Chips located directly across the street from the Pier is a local favourite. Fish right here! Rent a rod, purchase a license, and try your luck without having to venture further afield. It’s all set up for that very purpose with built in rod holders and amenities for your convenience. Discover Campbell River this fall and reconnect with the fascinating natural cycles of coastal wildlife. Return with the salmon and you’ll have your own stories to tell. Have a question or want to share your pictures? 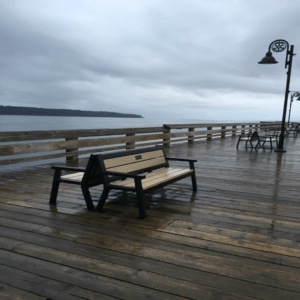 We’re always here to help and feature our favourite photos that use #discovercampbellriver. 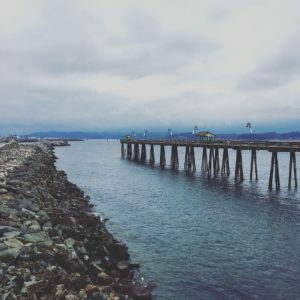 Connect with us today: FB, IG, TW, See you on the water!